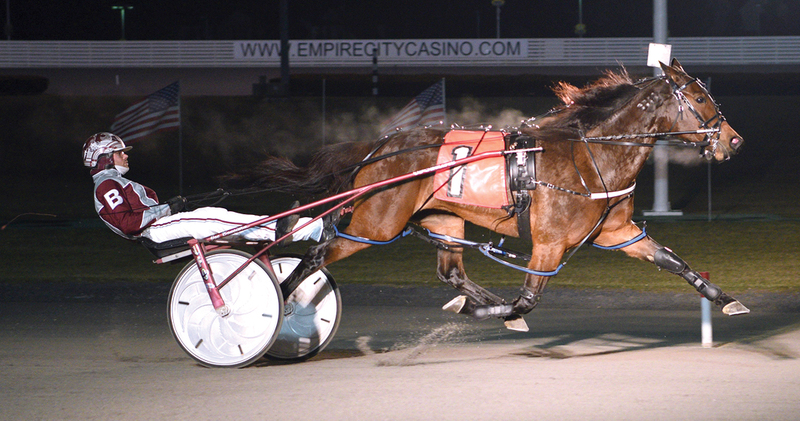 FORMER Ella Michelle won the draw for the inner half of the gate, then left the other mares at her mercy last night, easily winning Yonkers Raceway’s $44,000 Filly and Mare Open Handicap Pace. Ella Michelle stuffed both Amateur Hour and Clear Idea in behind, while 3-2 favourite IttyBitty was forced to retreat after she, too, tried leaving. Meanwhile, Ella Michelle had nary an issue (:27.4, :57, 1:25.4, 1:55.1), with Clear Idea faltering after a weak second move. Ella Michelle had a couple of lengths in and out of the final turn before winning by three. Culinary Delight offered late lane pace to get second, with a tough-trip Itty Bitty, 53-1 rank outsider Made of Jewels AS and Amateur Hour settling for the minors. For second choice Ella Michelle, an eight-year-old Down Under daughter of Cammibest owned and trained by former Aussie Chris Scicluna, it was a winning seasonal debut. From national hero to international icon?